What's The Best Fitness Plan To Lose Weight After Pregnancy? 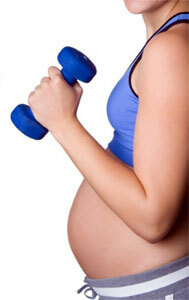 You are at:Home»Questions & Answers»What’s The Best Fitness Plan To Lose Weight After Pregnancy? What’s The Best Fitness Plan To Lose Weight After Pregnancy? I used to be fit until I got pregnant with my first child. I was a special case and as a result I was told by doctors to stay off my feet as much as possible throughout the duration of the pregnancy. After that I found myself overweight and continued to pack on pounds. Five years later and it’s finally time to lose the weight! I would love to get back to being 130 pounds. 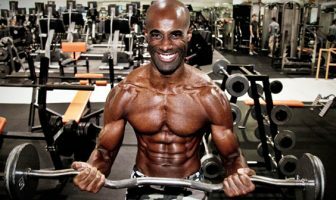 So my question is what should I eat and what kind of workout program should I follow to burn the most amount of body fat in the shortest amount of time? I’m ready to do the work and so is my husband because he has also gained about 80 pounds! The most important thing to do is to make the decision that a fit and healthy lifestyle is something that you are going to commit to for the rest of your life. Far too many people start an exercise or nutrition program with a goal of losing a certain amount of weight. While there is nothing wrong with this goal in and of itself, what it implies at a subconscious level is that this change in habits is temporary. In my mind this is one of the biggest reasons people cannot maintain their weight loss when they do find success. They were basically committed to a temporary amount of effort. So understanding that this change in lifestyle needs to be a permanent change gets you in the right mindset from the start. The fact that you have your husband’s support not only as a “cheerleader”, but that he is willing to do it with you, is invaluable. As a couple, the first step is going to be sitting down and talking about your grocery shopping. After all, the meals you prepare in your home come from what’s available in your kitchen so it is imperative to keep it fully stocked with healthy foods. Equally important is eliminating unhealthy foods because you can’t eat it if it isn’t there (out of sight, out of mind). When it comes to grocery shopping, one trick is that your grocery shopping should stay as balanced as your meals. In other words, if you want your meals to be a balance of lean meats, vegetables, fruits, nuts and whole grains then you should be spending the majority of your time in these sections of the store. So when you are in the checkout aisle take a look at your grocery cart and make sure that it is balanced with nutrient dense foods. As far as workouts go, let’s remember that this is something you have committed to for the rest of your life so there is no need to rush in and push it too hard. The most important thing is consistency because consistency is critical if you want to make a habit stick. Without knowing your current fitness level it is difficult to advise you on exactly where to start but 30 minutes of moderate exercise everyday or every other day is a fairly safe place to start. Preference is another important factor. I’m not going to suggest that you jog for 30 minutes a day if you hate to run and have bad knees. So pick an activity you enjoy and start there. Walking, jogging, hiking, biking, swimming, rollerblading and lifting weights are all fantastic forms of exercise. It’s just a matter of picking a few you enjoy and doing them consistently. As you begin to make this a habit you will naturally find other exercises you enjoy as well. Maybe you will join a gym together, join a soccer team, start a yoga class or buy an in-home exercise DVD, the choice is yours and part of the fun is discovering new activities you can do together. After the birth of a new child things get very busy. Time for weight loss is in short supply so never take short cuts like taking pills to drop weight and don’t be in a hurry. Eat right and work out at home. If you were in good shape before being pregnant it will be much easier to get back into shape.